Yes it is THAT time of the year. Everyone is hot, sweaty, and mostly stinky. 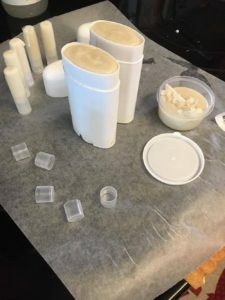 I have been using natural deodorants for years and honestly have had amazing success with homemade recipes using essential oils over store bought versions. But, I started getting irritation under my arms DAILY and it was just plain annoying! I tweaked the recipe and came up with this amazing one that I hope you will enjoy! Before we proceed; did you know that the traditional combo of deodorant/anti-perspirant contains TOXIC chemicals that have been linked to thousands of abnormal states of the body? Gross right? Yeah, and it is NOT just aluminum that is the culprit. Parabens and the thousands of ingredients use to make up the fragrance of the products are harmful and can affect us at the cellular level. Think about it. God made subacsous glands for a reasons and sweat for a reason. Both of which are in our armpits. We were made to sweat! So relax, get used to a little wetness under there, and trust me on this. Your nervous, endocrine, and immune systems will thank you for the change. 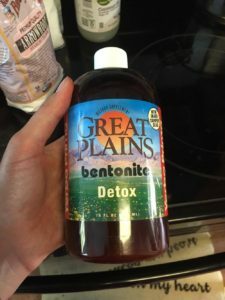 This recipe has several ingredients but remember that ALL of them are multi-use and it is a one time investment in your health that you can continue using for years to come. 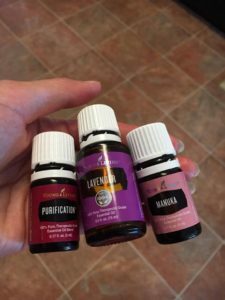 I ONLY ever recommend Young Living Essential Oils. They are pure, therapeutic grade, and the only ones I would EVER use on my family. Don’t have them yet? I can help. 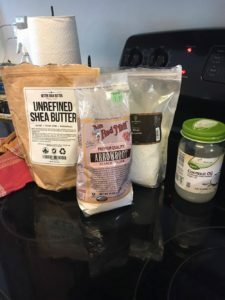 Baking soda has been known to help curb sweating and can be used in combination with the arrowroot powder, but it irritates my pits and I would personally recommend leaving it out. 1. Melt coconut oil, beeswax, and shea butter in a small saucepan over low heat. Stir continuously until melted. Add in the liquid clay towards the end and stir to combine. I use a regular pot to boil the water and a small sauce pan to melt ingredients. 2. Once completely melted remove off heat and whisk in arrowroot powder. Add essential oils after whisking in the dry portion. Mix in the essential oils. Please be aware it will thicken and harden quickly. If you need to help it stay in liquid form longer put the sauce pan back over the warm water in the pot (make sure burner is turned OFF). The travel version is quite honestly brilliant. Be sure to label it so you won’t be applying deodorant to your lips! I tend to loose things so having two sticks around plus a few travel size ensures I will smell WONDERFUL even in the heat or after a couple hours running! I would LOVE to hear how you like this recipe! Please also let me know if you find other essential oil combos you enjoy with it. Our bodies all respond differently and it is fun to learn what works well for others.